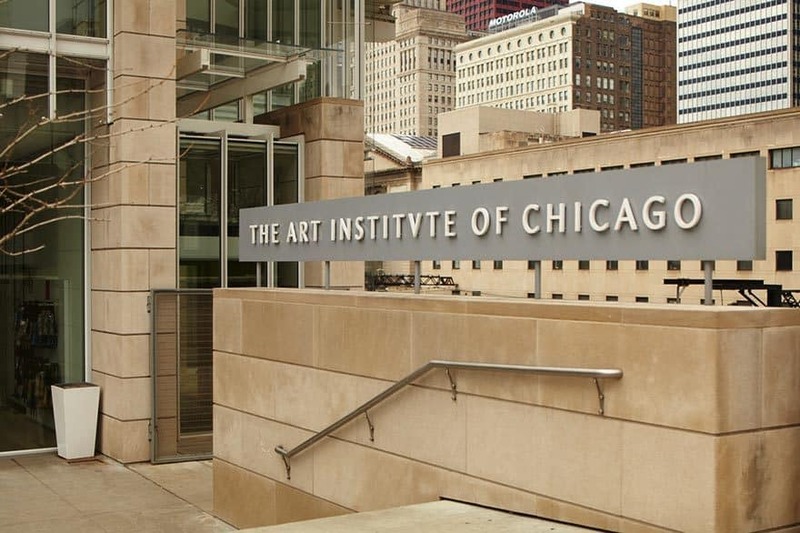 Established in 1879 and at its present location in Chicago since 1893, the Art Institute of Chicago encompasses one million square feet of floor space. The Institute has a broad collection of Impressionist and Post-Impressionist art as well as American art, Old Masters, decorative art, modern, and contemporary art. Located in Chicago’s Grant Park, the facility is a landmark not only in the city, but nationwide attracting 1.9 million visitors annually. The prior floor covering was removed leaving the exposed concrete and residual cutback adhesive. The depth of the dents and imperfections in the substrate can be seen more clearly just after the primer has been applied. Schönox SHP, special acrylic primer, is applied from a standing position with a low nap roller. SHP has no VOCs and conforms to SCAQMD low emission standards making its application, even in tight spaces, a low odor process. Priming reduces absorption by the substrate, protects sensitive subfloors, binds residual dust, and improves adhesion of the leveling compound. Schönox SHP is ideal for use on interior non porous substrates drying in only 1 to 2 hours. Special dust-reduced properties within Schönox AP, synthetic gypsum self-leveling compound, allow the product to be mixed inside the facility with a minimal amount of dust. Portable mixing systems allow the efficient preparation of AP product and easy transport to the pour area. AP is ideal for renovation projects, installable in depths of up to 2”. Schönox AP is used to level the entire renovation area. Synthetic gypsum is made from the by-product of the process used to purify emissions from power plants making the use of AP a strong environmental choice that contributes to LEED credits. Trowels with extension poles are used to more quickly distribute the leveling compound throughout the renovation space. Professional installers know that any final flooring installation is only as good as the subfloor beneath it. Schönox AP provides a smooth, strong subfloor filling in all imperfections leaving a surface ready for a high quality floor covering installation.